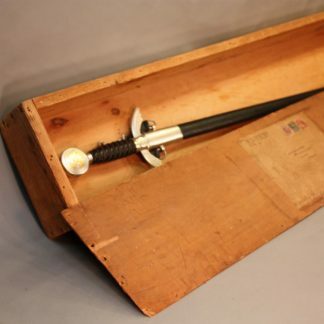 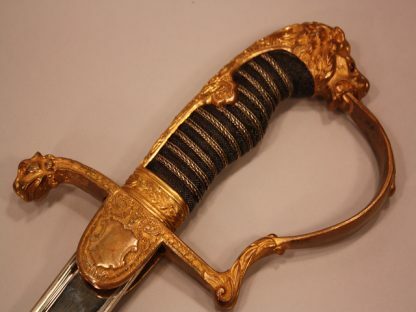 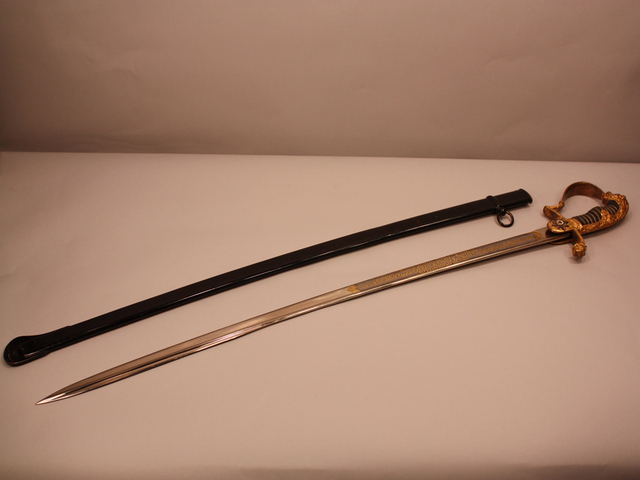 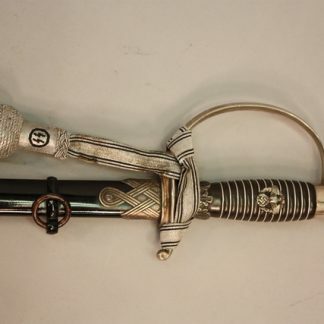 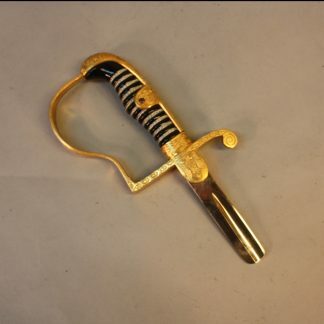 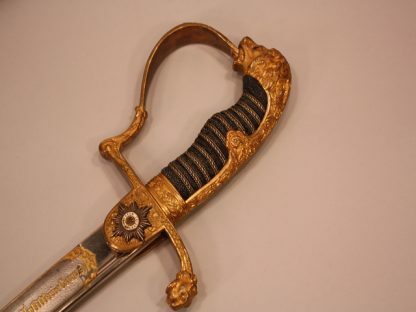 Absolutely Beautiful Guard Grosser Lionhead Hilted Sword – Military Collectibles, Inc. 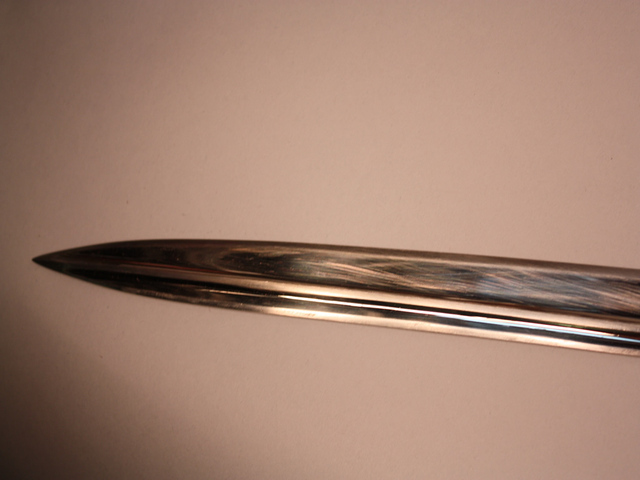 The scabbard has original paint. 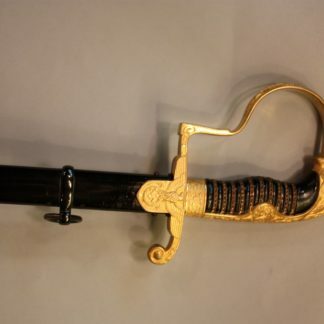 The ray skin is flawless. Also is triple wire wrapped. 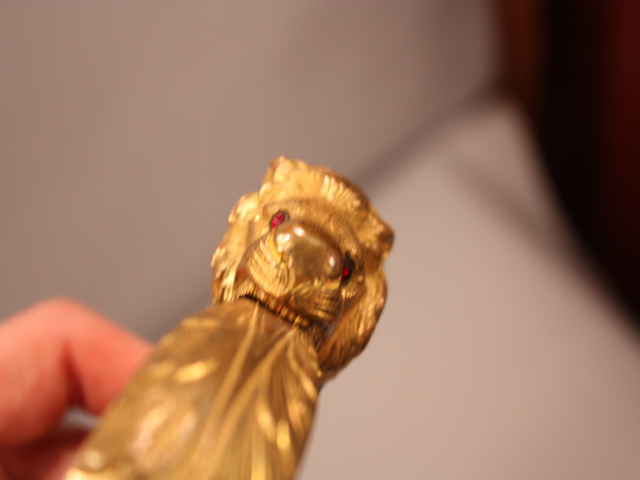 The upper hilt retains a lot of its original gold. 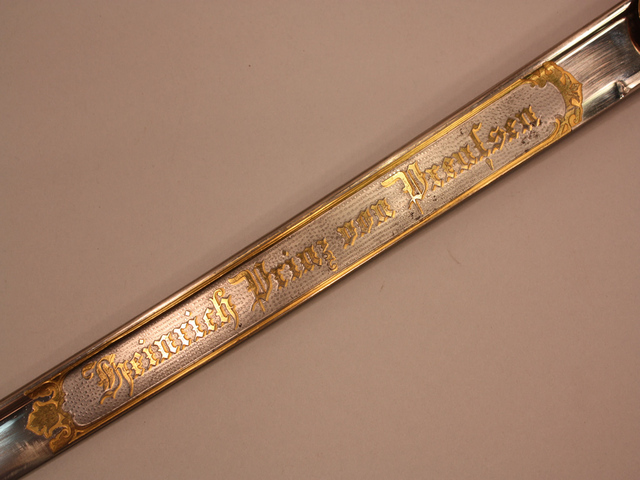 The suspension ring has the number 20 stamped into it. 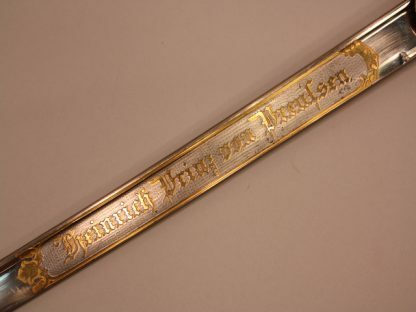 The true beauty of this sword, which is stunningly mint is in the inscription. 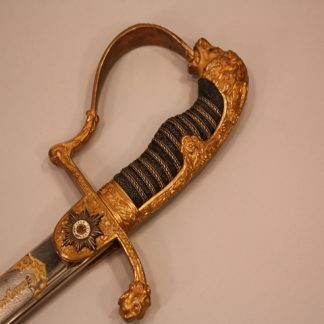 While this blade is not in Damascus, it is done in a stippled fashion with all the lettering gilded. 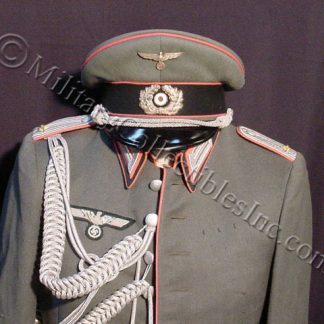 The inscription read “To Portepeefahnrich (Cadet Officer – no exact English translation for this, it equals a young officer just before the promotion to the full rank of an officer) Freiherrn (Baron) von und zu Egloffstein in the grand ducal hessian Field Artillery regiment no. 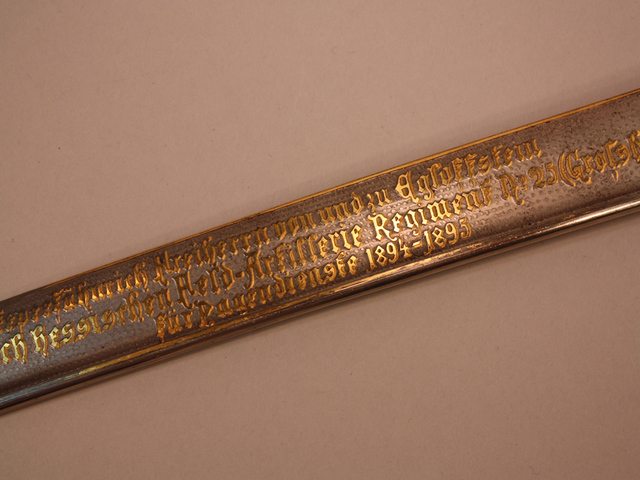 25 (Grand Ducal Artillery Corps) for services as a page (to the Grand Duce possibly) 1894-1895.